Let's here is for the Crayola website! They offer printable coloring pages and worksheets, craft ideas, e-cards and printable cards. They also offer lesson plans for educators and present dozens of lesson plans for special needs. (By choosing special needs under "grade".) Much of there materials are also available grouped by thematic unit. Much appreciated is there effort towards multiculturalism. Oh, and watch out for the occasional free offer of art materials for teachers! The Arc is calling for individuals with intellectual disabilities, their caregivers, advocates and professionals who work with them to take a survey about Medicaid Part D. The goal is to find out what the flaws are and how to remedy them. Go to the Arc Action Page for more information. I'm going to assume you all know what a Yankee Swap is, although I know in some parts of the the USA it is called other things like a White Elephant Exchange. A little more than five years ago I found myself teaching the largest self contained multiple special needs class I have ever seen. A dozen students, four teaching assistants, a nurse, a speech therapist, an OT , a PT and myself. In the past I had always given a little token of my appreciation to everyone in December, but that year eight adults were beyond my financial means, and a secret Santa type arrangement doesn't work well with everyone in one room, so we invented our own version of a swap. All of the staff who wanted to participate brought in an unmarked gift worth $10.00 or less (unlike a white elephant these gifts are not generally re-gifts or gag gifts, but that could be fun too). Then the names of the staff were put into a hat and the students each drew the name of the adult they would be an elf for (can you see the embedded reach, grasp and literacy skills?). After every adult had an elf (or sometimes two) each elf would pick out a gift, one by one, for the staff member her or she had picked. This lead to a lot of fun for the students when adults would say things like, "I don't want the book, don't pick the red one that looks like a book!" and the student would pick the red one that looked like a book smirking the whole time. There is no chance to swap out of what you pick in our version of the game, what the student-elf picks is what you get! The elf would then unwrap or assist in unwrapping the gift for the staff member. The students love this activity! The chance to have that kind of control over what a staff member gets for a gift is fun for every kind of student, from the prankster to the kind-hearted. P.S. With thanks to a commenter (the first on this new blog of mine) I want to note that I just learned something. An orthosis (plural orthoses) is the actual custom brace. 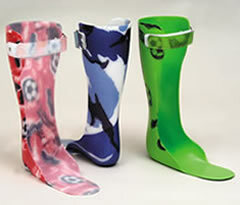 Orthotics is the science of making orthoses. 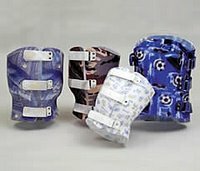 I thought that "orthotic" was what you called the brace. You learn something new everyday! My commenter sent me to this glossary to clear things up. Many of us in the USA use the Mayer-Johnson Picture Communication Symbols (PCS) for visual communication in our classrooms. Mayer-Johnson PCS offers us 9,100 clear images for about $500.00 which includes all symbol addendums. Boardmaker also seems to be the best software available for intergrating symbols into documents and communication boards. A key feature of Boardmaker is its multilingual uses. DynaSyms, originally designed for use on Dynavox Devices, are now available only on Dynavox products or as an addendum to Boardmaker. Many other symbol sets even recommend Boardmaker for using their symbols. However, there are other symbol systems to consider. Similar to PCS is the Widgit Rebus Symbols, which became known to many of us in the SpEd field in the US with the software Writing with Symbols. There are currently 26,000 Widgit Symbols with more on the way. Gus Communications has also designed a product to compete with Boardmaker called Overboard. It has only about 5,500 symbols, integrated speech and includes a free Boardmaker converter download. Overboard runs about $200.00. A number of other companies also have similar programs, but they have less than 1,000 symbols or are of the poorest quality so I won't mention them here. Picture Master Board Designer is another Boardmaker competitor, however it only has 18,000 symbols, many of which are duplicates in their efforts to offer differing levels of complexity in their images. 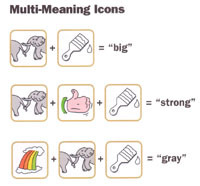 IMHO, the Picture Master Symbols are generally of poor quality for use in special needs classrooms. The Board Designer software is currently "on special" for $200.00. Silver Lining Media offers "Picture This" communication board software that utilizes 5,000 photographs. Thousands more photos and symbols are available in add on sets. This product was designed to compete with Boardmaker, but is also compatible with Boardmaker and costs about $90.00. Kid Access offers a set of 1,000 symbols called "Eye-cons" also for $90.00. Kid Access claims the "Eye-cons" are more abstract than photos and more concrete than PCS, but the samples I saw were much less concrete than PCS and of poorer quality. A number of international companies have the hold on the picture symbol market in their country. Makaton is a British symbol set, like PCS, that is very broadly used in the UK and other countries. They have 7,500 symbols available with 1,900 new symbols scheduled for release in 2007. It is difficult to gauge the price given how the symbols are bundled and sold. My guess is that it would cost at least $300.00 to acquire most of their symbols. Compic is a set of about 1,500 pictograph symbols mainly used in Australia, it runs about $350.00. Pictogram Ideogram Communication Symbols are mainly used in Canada, there are about 900 white on block pictograms available on a CD-ROM from the Zygo Company. Bliss Symbolics is a very old, but now out of vogue symbol system for communication. The 3,000 Bliss symbols are very opaque and difficult to learn, but they do allow a use of grammar and tense that is not available in other systems. This use of grammar and tense is said to make learning literacy easier. A few places even have free symbol sets! Imagine Symbols which offers 4,000 symbols consisting of clearly drawn images. Children with Special Needs has free downloads of picture and photo symbols as well as a few other resources. Do2Learn has hundreds of age appropriate looking black and white line drawings appropriate for schools available for free download. The AMDI company offers Tech/Syms free of charge if you register. I think there symbols are a bit young and look a tad like Manga. Other websites offer curriculum specific symbols/icons such as these for science. A final symbol system I should mention is Minspeak. Minspeak is a system that uses combinations of icons to create new words or phrases. For example, "rainbow" + "heart" means "red". The system of Minspeak is complex and not for those with significant or even moderate cognitive disabilities, but for those with multiple physical issues and minimal cognitive issues this is the absolute fastest AAC system I can think of. Minspeak is offered on Prentke Romich Products where it is called Unity. It is also offered on the ChatBox by Saltillo where it is called Talk Today. More information is available from Novita Tech. The website of the day is the Learning Centre of SET BC. The site contains resources in six areas: Vision, Access, Communication, General Topics, Main Library, and the Conference Center. The first fours areas are divided into two sections: the classroom with web broadcasts (audio and video), lectures/presentations, demonstrations and texts and the library with AT Guides and tutorials, best practice information and student lesson ideas. This website is a great resource for information about assessment, software, instruction and best practice. I'll admit that I haven't tried this out yet, but the moment I saw it in the new Enabling Devices catalog I wanted one... um... for the students. 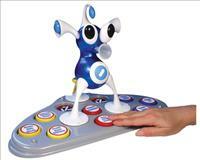 iZ is described by Enabling Devices as the "First ever animatronic DJ! We have adapted the ultimate fusion of music and toy with a personality that you have never seen before. iZ can make music come to life. He has hundreds of music combinations. His big eyes dance wildly to the music while his nose pulses in rainbow colors to the beat. Play your iPod or other music player thru iZ. Cable is included. We have not begun to describe all of the possibilities. You will love it." My understanding of iZ is that without an iPod or MP3 Player he makes music and dances by pressing the buttons on the base of the device, but if you do plug in your iPod he puts the iDog to shame! Mitsubishi industries has invented a little, yellow, different robot to be a companion and assistant to the elderly and those with disabilities. Perhaps it is only a matter of time before our students come to school with their own assistive robots! Oh, her name is Wakamaru. If Wakamaru is not available your student may still get to play with a robot at school. Cosmobot is a specially designed play therapy robot for children with disabilities. Cosmobot was designed by AT KidSystems and AnthroTronix for use with children ages 5-12 with a variety of disabilities. Cosmobot does not appear on the AT KidSystems website, but he does appear on the AnthroTronix site. All of this seems to be part of a new field called Telerehabilitation. So you're a teacher on a budget. You serve learners with diverse needs and you wish you had more time to search out free software or to design your own. Here are some leads to free downloads for students with severe, multiple, complex or profound needs. 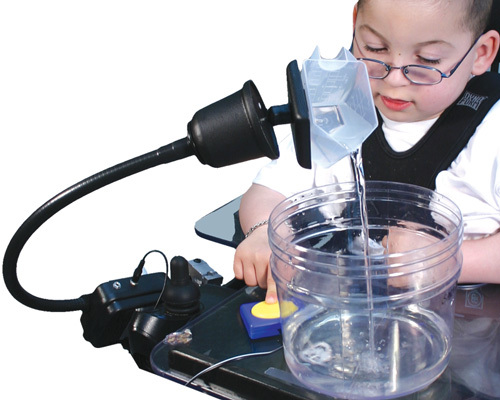 Pvoice is a free augmentative and alternative communication program. Designed by the father of a little girl with multiple needs it is free to download and run. It is considered open source software and those who know how to program in Perl are welcome to contribute to it. A couple of places have free downloads for use with switches. The RJCooper company has two switch accessible arcade style game available for free download. Inclusive Technology in the UK also has some switch programs for free download. Another free switch program is The Great Fish Race which allows two switch users to compete. One Switch in the UK has more than 70 games for download for single switch use. Many are quite difficult so try them before you let your students at 'em. Some touchscreen activities can be found online or for download as well. The Jackson Pollack painting site is made to emulate action painting and works beautifully with a touchscreen. Magic Touch has links to dozens of free or free demo games that work with touchscreens. I haven't tried this one yet, but e-home games has a download of classic arcade games for touchscreens. Sarah Greenland has three games for download: a kaleidescope for switches, a mouse trainer and a touchscreen maze. SEN Teacher (SEN=Special Education Needs) has two dozen programs free for download. (Plus printables and more.) Many of the programs on SEN Teacher are switch, touchscreen or even camera accessible. Of particular interest may be SEN Switcher, free cause and effect, switch or touchwindow accessible programs available on line or for download. Two British schools have some of the most amazing resources I've ever seen. Priory Woods has switch activated flash videos, talking story books and learning software. I use this website constantly. I would love to go spend a year at Priory Woods and learn all they have to offer. You should also check out their Kids Only Portal. The other school is Kingsbury School, much of the software there is available for use online. Another unbelievable freebie is Click'n'Type, an onscreen keyboard that works via touchscreen, mouse and even single switch! This program even has word prediction. Considering what you pay for other programs like this Click'n'Type is a good way to do before you ask your school or agency to spend money on a similar program. Another utility that is available is Philip's Large Colored Cursors. If you are feeling motivated you can peruse the OATS Repository of open source assistive technology for more downloads. One of the things that I try to do every year in my classroom around this time is prepare and send home a holiday gift giving guide for my students. For years parents told me how tired they were of their sons and daughters receiving gifts that were not appropriate. Sometimes the problem was the gifts could not be used by the child, other times it was that the toys was not age appropriate and still other times it was just that the child received all clothes and nothing "fun". So I peruse the special needs catalogs and create a guide parents can share with friends and relatives. I copy and paste images of items and include websites and prices. Sometimes I divide up the ideas by age other times by types of abilities/disabilities and still other times by IEP goal areas. It all depends on the make up of my class that year. I always include basic switches, talking watches and alarm clocks and medical identification jewelry. Many years I include adapted clothing, computer programs, adapted toys and games and recommended literature. The parents seem to appreciate the effort and the students come back in January with fun things to show off. Here is a collection of links to adapted and alternative format books. Most are free, some have a fee. The type of format varies. For pay interactive books like Tumblebooks and Bookflix and professionally read audio book downloads check your local libraries web site; free access may be available with your library card. (This perma post updated March 4, 2010.) Another excellent list of online alternate format books is here. Adapted Learning search for "story"
Reminder - for pay sites like Tumblebooks, Bookflix and other check the public library as many offer free access! So many of our students use picture symbols for communication that I thought I would highlight some of the websites that provide us with free or low cost ready made picture symbol activities. Symbol World is a British site that contains four site areas ELive, Learning, Stories and My World. The Elive section is avaliable as PDFs or online and contains news, community, films, features, games, recipes and fun areas. The Learning section contains online symbol stories in eight curriculum areas. The stories section has stories for pre-school primary and young adult students that are picture or symbol based. Finally the My World section has stories about children and adults with low incidence disabilities. The site uses Widget symbols and is run by the Widgit Company. Also run by the Widgit Company is the Rainforest Symbol Site. I am linking to the ASE Center site that links to this resource because when I link directly it does not work. You have to scroll down to "Lauch Rainforest Pages" and once you be sure to chose "Click for Symbols". This site is well designed for use in a Rainforest Thematic Unit. Askability is another Bristish site which has symbol based news, events and fun sections. The fun section may be of particular interest, it contains jokes, riddles, brain teasers and stories. This site also uses Widget symbols. New-2-You is an American company that publishes weekly newsletter for printing to use in your classroom. At a cost of $82.00 for one user for a year you get the symbol based newsletters that are on three ability levels, related communication boards and access to Joey's Locker. The Joey's Locker section contains stories, cartoons and games. Teachers also get information correlating News-2-You to curriculum guidelines and data collection sheets to download to assist in alternative assessment. Additionally for a small extra expense you can get Spanish editions of the materials. This product, a switch activated measuring cup mounted on a flexible gooseneck mount, from Enabling Devices ($122.95) is my first Device of the Day. I acquired one just this past September, thinking I would use it for cooking lessons. I have used it for cooking, and so much more. I've used it in science to measure and pour experiment ingredients, in math to teach measuring liquids, in art to drop glitter and sand onto projects and in even in history when we made Silly Putty in a lesson on 1940's inventions. This device is limited only by creativity. Another bonus (that admittedly I viewed as a drawback at first) is that one switch will pour while a second switch with upright the measuring cup. This design creates teamwork between my students who use switches in handling the measuring and pouring. (You can also just move the switch from one port to another). This nifty device has many uses in the intensive special needs classroom. 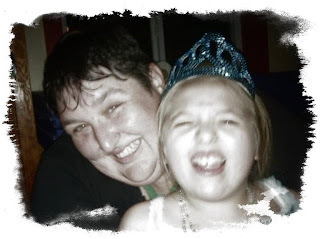 I am marking my tenth year in the field of teaching learners with multiple special needs. 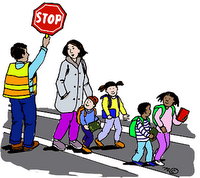 I have taught pre-school, elementary and high school/young adult. I have taught home bound, in private school, inter-district classrooms and public school. I have taught learners with moderate to profound multiple special needs. I was prepared for teaching in one of the best programs in the country and still I was unprepared. The internet was still in its early years when I started and the only way to gain more knowledge was by researching in the library. Mentors being assigned to new teachers as a matter of course was still a new idea and hitting up over-worked colleagues barely got more than bitter complaints. Now that I have some experience and the internet has changed the world, I think it is time to share.